Valentine's Day may have shot past on Cupid's arrow, but I'm still wearing hearts! 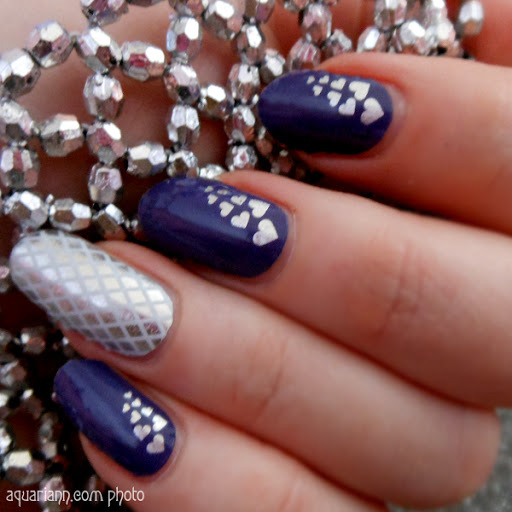 I paired Heartstrings with a Silver and White Fishnet accent nail, both designs which have been retired from the Jamberry Nails line. 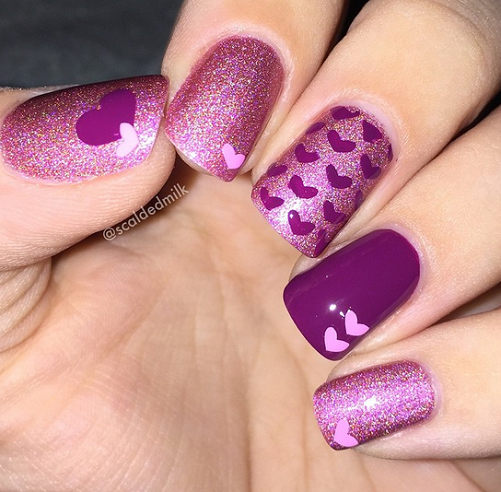 But don't let that shatter your soul - there's several sweet heart nail stickers on Amazon. Gorgeous romantic designs! I love the white&purple the best! Super cute! 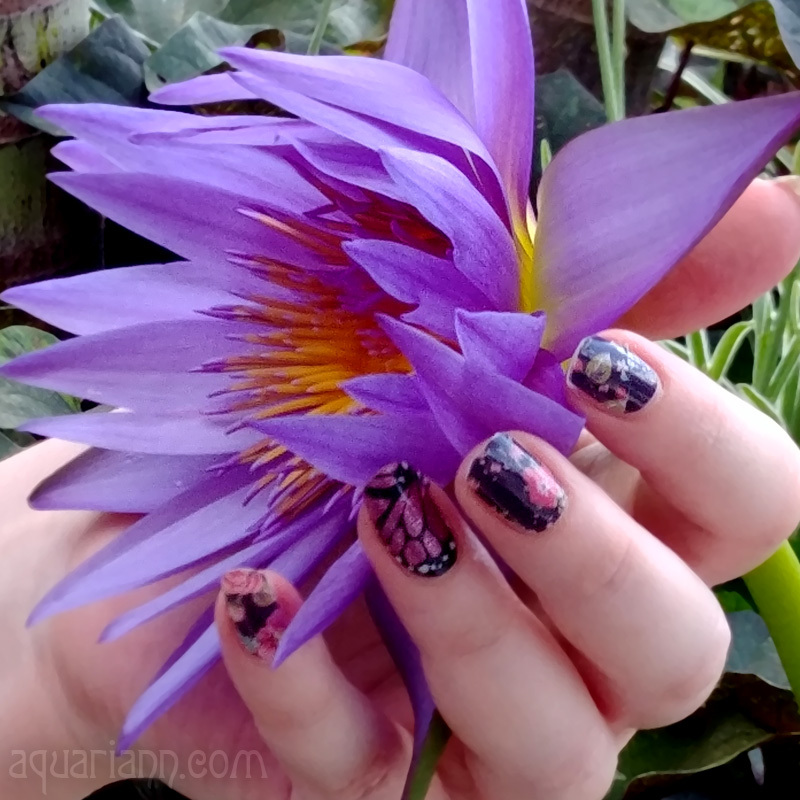 Love the combo of these designs together! Lovely! 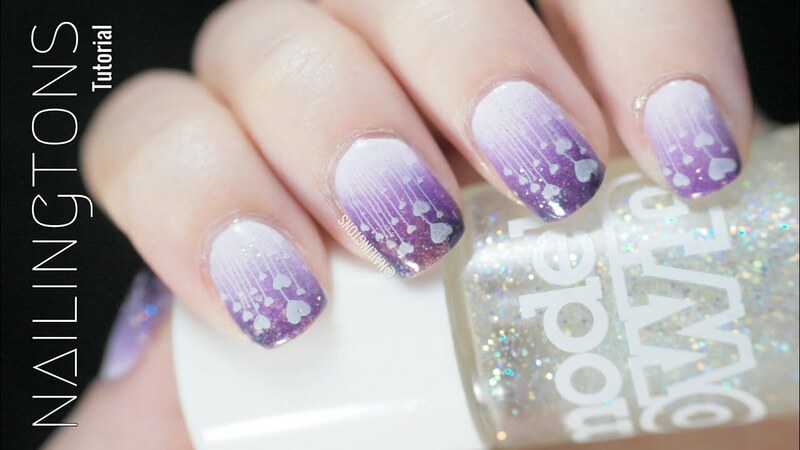 I love the sliver hearts, so pretty!